If you suspect a leak in the West Valley Water District system, please contact our office immediately at (909) 875-1804, 24 hours a day. Do you have a program for low income customers? Because your bill is already based on the amount of water you use, we recommend that you use this website to learn about methods to conserve water. Using less water will lower your monthly water bill. How can I avoid paying a deposit on my new account? Submit a letter of good credit from a former water purveyor and one other utility showing 12 months of on-time payments to the following address: 855 W. Base Line P.O. Box 920 Rialto, CA 92377. Can I have my water turned on the same day? Yes, there is a $25 charge for a same-day turn-on before 4:00 pm. After 4:00 pm there is $150 charge. Call (909) 875-1804 to schedule service. How can I get my current balance? You can call the automated phone system 24 hours a day, 7 days a week at (909) 875-1804. Press “2” to get account information. You will need your account number (which can be found on your bill). How Do I Request a Fire Flow Test? A request for testing of a non-certified fire flow shall have a charge of $150 per test. You can submit your request by mail to the address below with ‘Attention Engineering Department’ on the envelope. With your request please include the address of the property to be tested and cross streets. Also, let us know how and where you want your results submitted back to you. You can also submit your request in person at the Engineering Department at: 855 W. Base Lin e Rd. Rialto, CA 92377. How Do I Request a Will Serve Letter? You can request a will serve letter free of charge by phone (909) 875- 1322, email, or fax (909) 875-1361. Have the property address and cross streets or Assessor’s Parcel Number (APN) on your request. Also, let us know how and where you want your letter submitted back to you. Why does my water look milky/cloudy? We recently put a well in service in September 2016. This well has been offline for about a year. The “milky cloudiness” is entrained air. This sometimes happens when air is trapped in the water as it is pumped from an aquifer. The air is unpleasant to the eye, but does not indicate a pollutant or contaminant. Although West Valley Water District is not required to, we thoroughly sampled and analyzed for a full title 22 on this well prior to putting it back into service. A full title 22 includes, general mineral, inorganic chemical, general physical, metals, herbicides, pesticides, radiological and microbiological constituents. All results were below the MCL (maximum contamination limit) or non-detect. We take water quality very seriously, and appreciate your concern. If you ever have questions about your water, do not hesitate to contact Customer Service at (909) 875-1804 and a member of our staff will come out to investigate. The Water Quality Supervisor is also available at (909) 875-1804, ext 371. Why is the water so hard? Unfortunately, Southern California has hard water. 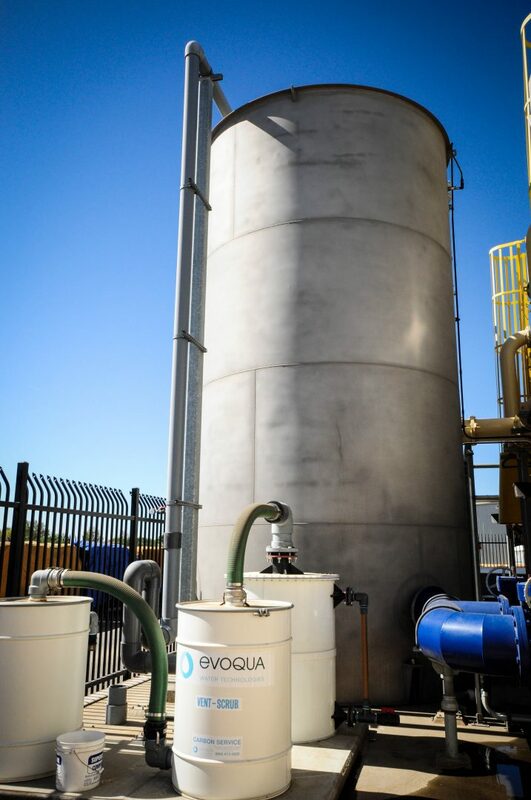 We do not soften the water at this time as it is very costly, the brine waste from treatment is hard to dispose of, and the softening process makes the finished water high in salts – which can be harmful to customers with low sodium diet restrictions. Soft water is also very corrosive to our system and can cause damage to infrastructure and internal plumbing. If you have any other questions about your water quality, our Consumer Confidence Report can be found online at http://www.westvalleywaterquality.org/ or the Water Quality Supervisor directly at (909) 875-1804 ext 371. The latest versions of several web browsers (e.g., Internet Explorer, Firefox, Safari) allow users to easily increase the font size for better readability. Try holding down the Ctrl key (Command key on a Macintosh) and press the + (plus) key. You can also decrease the font size by holding down the Ctrl or Command key and pressing the - (minus) key.